In the late 1800's tuberculosis was the most feared disease in the world. Young and old, rich and poor were being stricken. It was known as the "White Plague" because as the disease revaged its victims, they grew pale and emaciated. Some of the most famous people of the 19th century—the poet Keats, the pianist Chopin, the novelist Robert Louis Stevenson, and many others—were counted among the victims of tuberculosis (TB). There was no cure and little hope of recovery from this disease. The story of Christmas Seals® began in 1871 when a young doctor named Edward Livingston Trudeau was diagnosed as having TB. He threw aside all of hes plans and decided to spend his remaining time in the serenity of a cottage in northern New York State. The quiet, peaceful surroundings in the nountains were conducive to long hours of rest. Gradually, as Dr. Trudeau began feeling better, he became convinced that TB could be cured with proper bed rest, good nourishment, fresh air, and lots of sunshine. In 1884, the now fully recovered doctor opened the first TB hospital, later known as a sanatoruim, in the United States. By 1907 TB sanatoriums were springing up around the country but most were makeshift and could only care for a few patients at a time. One of them, a small shack on the banks of the Brandywine River in Delaware, was in desperate financial straits. It was about to close its doors forever unless $300 could be found to keep it going. Joseph Wales, one of the doctors serving the hospital contacted his cousin Emily Bissell to raise the needed money. She was active in the American Red Cross and had fund-raising experience. Emily learned about a Danish man who sold seals during the Christmas season to raise funds for fighting TB in Denmark. 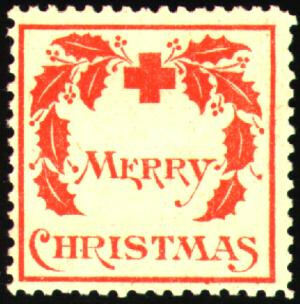 She sketched a design—a red cross centered in a half–wreath of holly above the words "Merry Christmas." Emily borrowed $40 from friends and had 50,000 Christmas Seals® printed. The Seals were placed in small envelopes and sold for a penny each at the post office. Selling the Seals for a penny apiece wasn't easy, but it was the only way to keep the Brandywine shack going. Emily started her own one–woman campaign to emphasize how donating to Christmas Seals® would help fight the battle against TB. She spoke to all sorts of groups, working overtime to make her campaign a success. High public officials, including President Teddy Roosevelt, endorsed the campaign, and by the time the holiday season was over $3,000 had been raised—ten times the amount needed. In the early 1900's, with Emily Bissell leading the national campaign and an army of American Lung Association volunteers across the country promoting them, Christmas Seals® became a cherished American tradition. Over the years, Christmas Seals® have evolved as a symbol of support and encouragement for the people dedicated to helping others afflicted with lung disease. Christmas Seals® have been designed by some of America's most popular artists, including Norman Rockwell, and at times, by children under the age of twelve years old. Nonetheless, for over 95 years, the colorful creations have decorated Christmas cards, letters, and packages. That tradition continues today...each holiday season Christmas Seals® arrive at households throughout the nation giving millions of americans the opportunity to support the war being waged by the American Lung Association against all lung diseases. 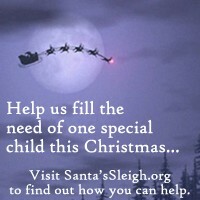 Eighty–seven percent of the money raised through donations to the Christmas Seal Campaign® stays at the local Lung Associations and helps fund the work of thousands of volunteers who contribute their time, talents, and energies to the mission of preventing, curing, and controlling all types of lung disease. You can join the Christmas Seals® tradition by supporting the [yearly] Christmas Seal Campaign® with a gift—just as compassionate Americans have been doing for nearly 100 years.